BRIGHTON, Mich. May 24, 2012 – Summer is just about here and you know what that means – the kids are out of school, many sports seasons are beginning or underway, and it’s the best time to take vacations and camping trips. The 2013 Ford Flex is the best vehicle to take the little leaguers up to the Brighton Schools baseball diamonds, or to take the kids for a fun-filled educational day at the Howell Nature Center. Everyone riding in the flex can enjoy the beautiful summer sky thought the multi-panel Vista sunroof while they are enjoying the smooth ride provided by the available 3.5L EcoBoost Engine. 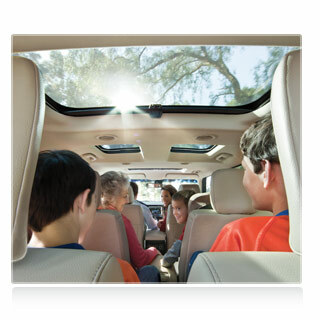 The Ford Flex is so much more than just a fun taxicab for the kids. The Ford Flex has many versatile technology features and plenty of cargo room for you to get the most out of this vehicle. Let’s talk tech. 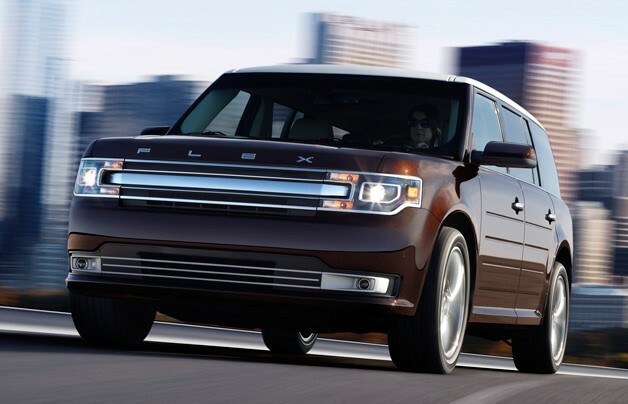 The 2013 Ford Flex has all of the latest and greatest technologies you could want in any vehicle. For starters you can equip your Ford Flex with the familiar SYNC with MyFord Touch for complete hands-free media control, navigation, mobile use, and cabin climate control, to name a few SYNC commands. BLIS will alert you when there is something in your blind spot, which makes merging or switching lanes on the highway much safer and easier. Parallel parking has never been easier then by simply engaging the Active Park Assist and letting the 2013 Ford Flex do the rest! What about safety and functionality? Available in all Flex models, the industry-exclusive inflatable 2nd-row safety belts help distribute crash force energy across more of the torso area than a traditional belt, which helps reduce the risk of injury while providing support to the head and neck. In the event of a frontal or side crash, the inflatable safety belts hold the passenger in the appropriate seating position, helping to reduce risk of injury. These safety belts are compatible with child safety seats too! Need to haul a big item, take all of your camping and fishing equipment up north, or move your recent grad off to college? 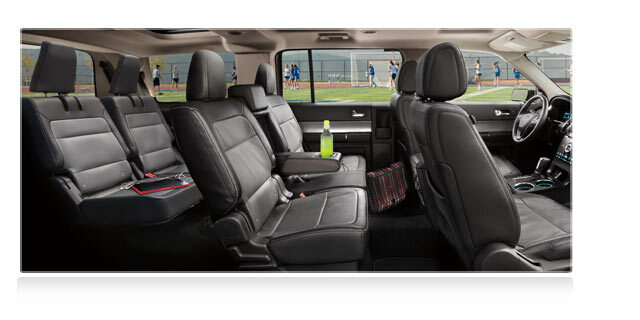 Fold those 2nd and 3rd row seats down and enjoy 83.2 cubic feet of cargo space! Come into Brighton Ford today and take a test drive and fall in love with the 2013 Ford Flex!